The proportion of event organizers who are happy to return to us is very high indeed and the fact that the Traditional Chinese Medicine Conference, a meeting involving 1,000 delegates, has been coming back for over 40 years speaks volumes for the enormous hospitality and special atmosphere of Rothenburg as a conference location. We do not compete with the large glass palaces of the cities to host large events. Our strength lies in the variety and easy manageability that a small town with a big reputation has to offer, enabling us to welcome a surprising number of guests from all over the world. As is fitting for a town steeped in history, the Reichsstadthalle blends harmoniously into the architecturally charming overall ensemble of the hospital courtyard. The congress hall was built in 1699 as a town tithe barn to which the feudal farmers had to deliver their ‘taxes’. After a complete renovation the building was reopened during the 1975 European Year of Historic Landmarks as a conference and event venue for the town of Rothenburg. Today the hall still does justice to the motto of that time: ‘A Future for our Past.’ An impressive ceiling with wooden beams, natural stone walls and parquet flooring convey a feeling of warmth and security that is hard to match in today’s modern conference sites. 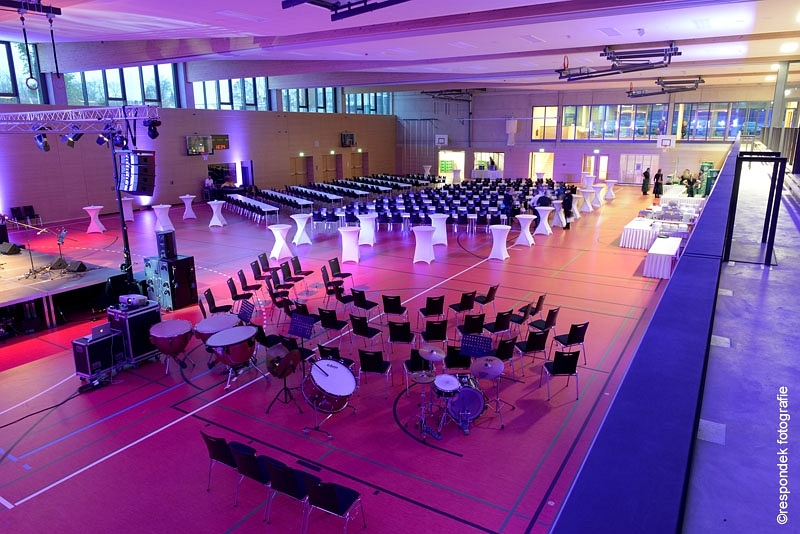 Since the official inauguration of the new multi-purpose event location at Friedrich-Hörner-Weg in spring 2017, the new Rothenburg Hall is available for big sports events and school sports, as well as for cultural and social events. 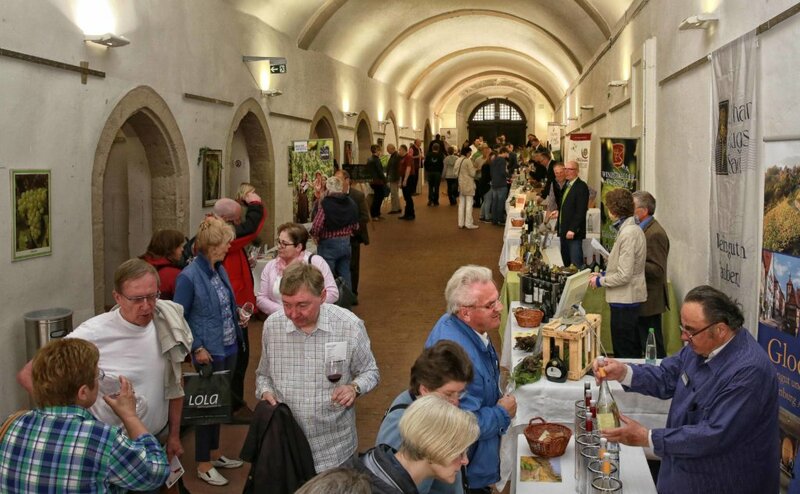 Close to the old town and close to the car park P1 (car/bus), the multi-purpose hall is the ideal starting point for excursions and leisure activities in the historic old town of Rothenburg ob der Tauber. The almost 1,200 m² large hall offers space for up to 1,300 visitors. The sports complex can be separated into three parts with folding walls or used as a large field. The extendable grandstand offers space for over 400 sports fans and spectators. A stage measuring up to 6 x 10 metres can be set up for e.g. concerts. 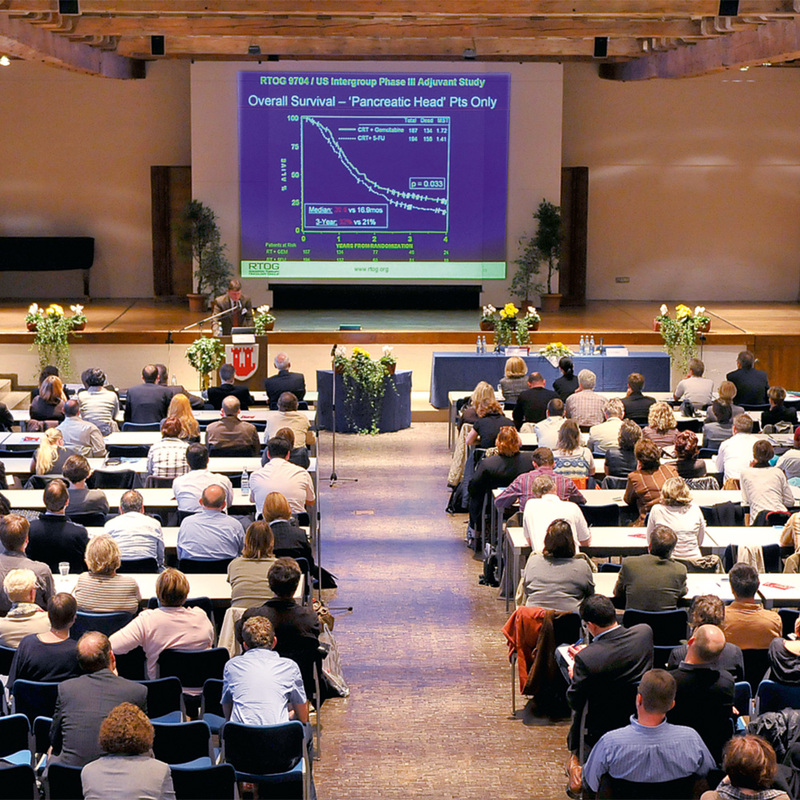 Various seating plans for events and conferences of all kinds are available. The reception of the guests is held in the fully glazed foyer, which provides a view of the entire hall. For drinks and small meals, a modern catering kitchen is available, which can be operated by the organizer according to his requirements. Until a few years ago, the fire engines of the fire department stood inside this vault in the ground floor of the impressive Town Hall right next to the Market Square. Today the 240 m² room whose floor rises gently is almost exclusively used for exhibitions and flea markets. The little theater and concert hall has preserved the charm of an old-time cinema. The fixed chair rows for about 120 people rise gently.